Get prepared for your appointment! Click the button below to view our online forms. Call us at 503-624-7249 today. For more information or to schedule an appointment with our Portland chiropractor, call 503-624-7249today! Dr. Anthony Illo is a chiropractor serving Portland and the surrounding area. Dr. Illo and the rest of the welcoming team at Illo Chiropractic are committed to providing chiropractic solutions to address your unique needs, whether you are experiencing back pain, neck pain, headaches, or even muscular tightness and tension. You may be searching for pain relief after an accident, experiencing an injury, or if you suffer from a specific condition like chronic back pain or a spinal condition. Even if you're looking to improve your overall health, Dr. Illo can help you attain your everyday wellness goals! Visit our testimonials page to find out what our patients are saying about our Portland chiropractors and our chiropractic care plans. At your first visit to Illo Chiropractic, Dr. Anthony Illo will explain how chiropractic care works and give you a full evaluation to see if our chiropractic solutions are a good fit to address your needs. If there is a good fit, we can customize a plan of chiropractic care for your condition and health goals. The techniques we use in our practice are the product of a career-long inquiry into the most effective, safest and lowest force methods to provide spinal correction. 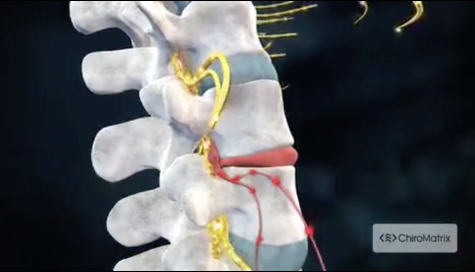 We utilize a specific upper cervical approach called NUCCA, drop-table work and percussion instrument approaches to deal with the various components of spinal dysfunction. We utilize carefully chosen x-ray views to fully understand the condition each patient present with and only treat areas that present problems in the way they require for normalization. If you have not been to a chiropractor before and want to find out more, please Email Us or call 503-624-7249 to receive the answers to your questions from our experienced team. We also welcome referrals, so we invite you to share our chiropractic and wellness information with your friends and loved ones. Interesting in learning more about our clinic? Sign-up using the form or call us at 503-624-7249 to request more information about our clinic and we'll reach out to you shortly!